Try our zesty take on this dinner table tradition. Try our zesty take on this dinner table tradition. 2. Combine butter, rind, juice, salt and pepper in a small bowl. 3. 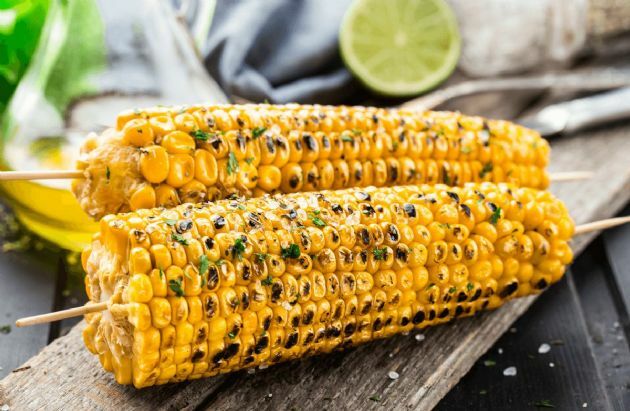 Place corn on grill rack or broiler pan coated with cooking spray. Cook 10 minutes, turning frequently. Remove from heat and brush corn with butter mixture. Instead of drawing butter, mix spreadable corn or canola oil with seasonings. Take a good size dollop of the mixture and peel back the husk (don't remove it). Put the oil mix on the corn and rewrap the corn in it's husk. Grill as described in the recipe.